The Genelec G One active speaker is very compact and unobtrusive active speaker which will surprise many with its unbelievable performance and beautiful design. 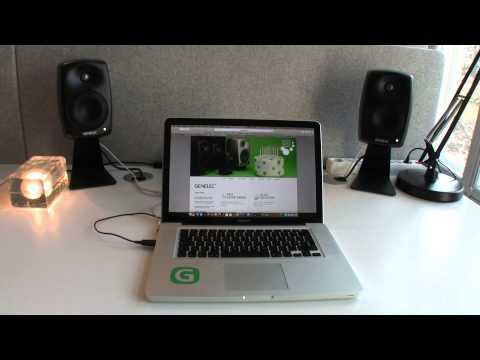 Delivering high sound level with very low distortion, easily located next to a computer in any home environment, the G One can be used for music or home theatre systems along with any type of audio sources. Due to its small size, it is also the perfect companion while on the move. However, it is better not to underestimate the astounding performance of Genelec G One, especially if it is combined with a Genelec F One subwoofer which will enhance the lower frequencies in stereo or multichannel applications. This G One (B) model is an upgrade to the previous version G One (A).